There is a requirement for some roles in this sector for a clear credit history, very specific experience and skills, and to operate under stringent regulations. All this is coupled with the uncertainties brought to the City by Brexit and the possible loss of key personnel abroad, meaning that recruiters for financial services firms are finding it harder than ever to find good candidates with the required range of unique skillsets – including, increasingly, a need for ‘soft’ skills – and the right level of education. The first step is for companies to really think through the entire recruitment process end-to-end and make sure it is as seamless as possible for the candidate. 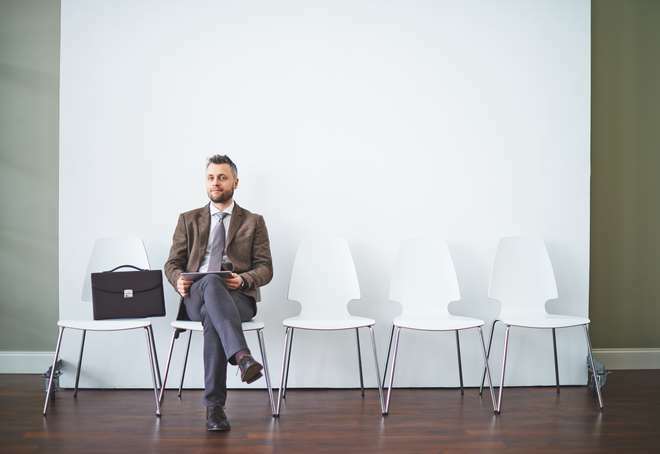 A good candidate journey is essential to ensure the best applicants don’t drop out along the way – as well as for the simple reason that many candidates are also often customers of the organisations they are considering working for. Virgin Media[iv] recently calculated that its own poor recruitment practices cost it some £4.4 million in lost subscriptions. Organisations need to think about having an attractive and informative careers page on their website, and an easy-to-use application process so that potential employees understand that the company takes the candidate experience seriously. With the competition for the best candidates very strong in this sector, organisations need to consider whether they are making themselves as attractive as possible to work for, including, for example, offering flexible benefits, defined career paths, training packages, social schemes, remote working, and the latest technology.They also need to consider how they will manage a three month onboarding process. And using sophisticated recruitment tools is one way to provide both candidates and those hiring with a first class experience. Once a company has thought through all this, and has a clear idea of the skills, experience and type of cultural fit they are looking for in a new hire, as well as how flexible they are willing to be regarding the exact match, they need to consider the methods they will adopt to find them. As organisations develop, recruitment needs usually increase substantially and manual processes become time-consuming. Online recruitment systems offer, among many other benefits, job board integration and customization. The flexibility provided by the best of these systems allows them to be tailored to existing processes, negating the requirement for the recruitment team to undergo retraining to be able to operate the new platform. They can speed up the recruitment and onboarding process and provide a wealth of information on, for example, diversity, the numbers of candidates who apply compared to those recruited, and where candidates are being recruited from. They can offer, among other things, video interviewing, which makes it easy for potential employees who live a long way away to apply, automated but personalised candidate communication and integrated background and criminal records checking. The best of these systems provide video interviewing as an embedded solution at no additional cost. Businesses should not rely on one recruitment method alone, however – building a good brand and reputation and using social media such as LinkedIn, Twitter and Facebook effectively as well as, where appropriate, the more traditional route of press advertising and recruitment agencies, in combination with the latest recruitment software – will produce the best results.